13When tempted, no one should say, “God is tempting me.” For God cannot be tempted by evil, nor does he tempt anyone; 14 but each person is tempted when they are dragged away by their OWN evil desire and enticed. 15 Then, after desire had conceived, it gives birth to sin; and sin, when it is full-grown, gives birth to death. I don’t know about you, but when this verse became evident and really resonated in my spirit, I was extremely overwhelmed with sorrow. See, after I first experienced this genuine longing and love for knowing Jesus more intimately, God revealed several areas in my life that He did not approve of, and for whatever reason, I had it in my mind that everything my old self did…all these nasty areas of sin in my life…would somehow disappear. My distorted view of reality really believed that God would make it all just go away immediately. However, several trials and TONS of tears later proved this theory to be false. Oh how our brother Paul got these moments right when he wrote so beautifully in Romans 7:13-25 about this war that wages within us to do what is good. So, here I was a big ball of emotion, sitting in the midst of this revelation, when I finally discovered that what I should have been pondering was, and still is, what are my desires that are giving birth to sin? OOOOOOOOWWWWEEEEE, this side of reality was, and still can be, EXTREMELY difficult for me to receive. At first, I wanted to stomp my foot with arms crossed as I shook my head and told the Holy Spirit He was wrong!!! It was not me, wonderfully and fearfully made ole Samantha. I am too precious in God’s sight…. Do you hear this as you read it? I mean, in my mind, He was just going to make things all better. PRAISE GOD for wisdom and knowledge and mercy and grace!!!! AMEN! Oh how comical and immature it sounds typed out, but fact of the matter is…until we fully surrender ALL areas of our life and humbly admit our inability to accomplish ANYTHING a part from Him and all He makes available to us through His word and Holy Spirit, we are faced with the truth that some of our actions still say this very same thing. Instead of stomping of our feet and thinking He is going to take it all away, we must meditate and reflect on His Word after prayer and repentance. We must taste and see that the Lord is good, Psalm 34:8. We ask God…what is this ungodly desire that has conceived and given birth to sin and death? Reflect…are our trials producing maturity and endurance, or are they producing the same outcome of resentment, anger, jealousy, greed, gossip, drunkenness, adultery, idolatry, witchcraft or the need for control, etc.? What are we mourning and grieving? On a more JOYFUL note, we should also ask God what godly desires has He so graciously afforded us to instead give birth to joy and life? What are the desires that can turn our mourning into dancing? OH HALLELUIAH! Then finally, we must ask Him for wisdom. For wisdom is knowledge in action. It is obedience sourced from discernment that God almighty will so generously provide without fault if we just ask without doubt (James 1:5-6). So I now ask you…what do you desire? Thank you for every eye that sees this, and every heart that receives this. May it be seen and received in love. I praise you for Your Holy Spirit! For it is You alone that is good within us. All honor and praise and glory be to You my ABBA Father! With so much love and gratitude I get to ask in Jesus’ name, Amen. 7Answer me quickly, LORD; my spirit fails. Do not hide your face from me or I will be like those who go down to the pit. 9Rescue me from my enemies, LORD, for I hide myself in you. This verse can be so hard for me at times. I want to trust Him with evrything I have, but when I am presented with the opportunity to live it out, it is not that simple. During these faith building seasons, I become extremely quiet. Retracting from those around me, I sit to ponder and dish out all of my pain to God as He helps me identify all the feelings pouring out of my soul. It usually starts out with LOTS of ugly, then comes feelings of sorrow, followed by tears and the feeling of emptiness, but then the most beautiful thing happens…a peace come over me as my emptiness becomes not so empty anymore. Rather it becomes COMPLETELY full of God’s overwhelming grace and goodness because as much as I didn’t like myself or those around me in those moments…He did. He does. He always will. Therefore, when we are given the opportunity to trust, we are given the opportunity to pour our souls out to God as He scrapes the ugly layer off and casts it into the lake of fire where it belongs. Oooooowwweeeee, then what is revealed is the MAGNIFICIENTLY beautiful layer that He could see all along. I am telling you, weeks like this last week can be so lonely, but SO WORTH THE FULLNESS THAT FOLLOWS. He emptys me of me and fills me with the great I am. Oooweee, therefore, I get to just be who I am. I am enough. I urge you my brothers and sisters. Allow Jesus to meet you where you are. Accept where you are so He can take you where you want to go. Only He can. Amen!!! Thank you for allowing us to come and settle our matters with You. May we have the courage and humility to feel our feelings, identify them, and then replace them with Your truth until it reaches our soul and refreshes us as it give us much needed rest. Praise You my Abba Father! Who is worthy of ALL PRAISE, HONOR, AND GLORY! Coffee brewing. Kids screaming. Dog barking. Dishes piled up. Laundry overflowing. I feel unappreciated, exhausted, constantly needed, and COMPLETELY overwhelmed. So basically, I am exactly where the enemy wants me to be. Tired, feeling defeated, and ready to explode. However, could I just say, that as a devoted follower of Jesus Christ, I am called up to a higher standard. I am call to discipline my children the way God disciplines me (which can I also say, would be far more effective than my screaming and making them feel completely defeated themselves), to lovingly stand alongside my husband by respecting him and giving myself completely to him, and to praise God through all of this in the meantime. WOW!!!! This is definitely my goal, but shew weee it just sounds exhausting typing it all. However, I know that God would not call me up to something if He did not lovingly provide me the way to achieve it. The catch, I have to be willing to lay my pride down, lay my emotions down, and pick up my cross, daily, and exchange it for a supernatural power that God promises He will give me if I will just be still and know that He is God. That He is in control and not ME. Yeah…it is NOT me who has control. Huge shocker, hugh! The closer I get to our Lord, the more and more I begin to detest the word me. It is a word that brings so much with it, that I just want to take it and physically strangle it into none existence, BUT, God says that will not be so until I leave this fallen world and take Jesus’ hand. So, until then, He gives me all the tools I need to get closer and closer every day. So, here it is, 6 o’clock and all I keep doing is telling myself that “It is ok! God has got this!” As things continue to happen, “God HAS got this! GOD HAS got this!” After all of this trying, I realize that if one more thing happens, then POW….. I am going to light up like the Fourth of July ladies and gents because the fuse to my fanny will have been lit. Let the firecracker show begin as the conversation in my head suddenly changes from “Give it to God!” to “NO!!!! I’M GOING TO TAKE CARE OF THIS!” My voice explodes and then every word I was trying to take captive in my head flows out like a fiery flame from the pit of hell. My flesh becomes EXTREMLY satisfied and full of pride as everyone and everything around me (mainly my children and dog) stares, in silence, with an expression that communicates, “She is mad….AND crazy!” Nevertheless, despite their stares and sometimes defeat on their face, my pride is FULLY satisfied and justified to ME. Ugh…that word again. Sound like you? Well, this is always me when I have become overwhelmed with life; when I have been trying to do everything MY way instead of HIS way. I have been walking out my walk diligently and faithfully for a couple of years now, but just like the Israelites, I seem to be in the slow group in that I still struggle and find myself satisfying my flesh rather than choosing to nurture my sprit with God’s word in truth. It is not soon after, that I find myself completely convicted, in repentance, and completely heartbroken that I would choose my desire over His promises. It is a struggle. It is ALL our struggle. It may not look like mine, but it still has the same outcome….destruction, sorrow, and a need to be saved through grace, mercy, love, and acceptance. My heart pleads for mercy, growth, love, and grace as I cry out, “My Father, change me, refine me, build my foundation on a rock. You discipline those You love. Praise You, Lord!” These words are all too often spoken within my prayers; however, when the trials begin, my flesh so quickly says, “AAAAHHHHHH!!!!! IT IS ALL ABOUT ME AND HOW I FEEL, NOT WHAT YOU SAY GOD.” Now I may not say this exactly, but my actions are what is saying this. Don’t you think? I want to mature and be refined, but I have this twisted way of thinking refinement is going to somehow be easy, or the way I would have it. Sound like you? Are you willing to admit it? As we stand still and know, our hearts cry out for His goodness. Then as the distractions begin taking place as we live in this broken world, we too quickly want to retrieve back into our holes. We constantly strive to want to focus on the cross, but trials come for His glory and we want to hide. It is as though laying that ‘thing’ down at the cross is a lot further away than it appeared to us in silence. Our moments without any distractions are always ones that are empowering. As I am even typing, I feel a sense of hope, strength, and courage behind these words, but I have realized that hearing them, typing them, speaking them… well, is only minute compared to the parts of our faith that require REAL strength, REAL hope, REAL courage to live it out. Strength, hope, and courage provided to me by the Holy Spirit, not Samantha Keene, is where His glory shines. We are given the ability to accomplish things that otherwise we would not be able to accomplish. It is AWESOME!!!!! It is quite comical to think of how cowardly one can be a part from his or her faith, but as I reflect on the way I live my relationship with Jesus Christ out, it truly is the expectation of many. We so quickly laugh at the Israelite’s disbelief after all God did, but I know I am guilty of doing the very same thing. The Bible is a warning. An example that gives us stories because we too will face them. Ladies and gentlemen, we are so quick to refer ourselves as God’s servants, now let us learn to be willing to be treated like one. That is what Christ did for us, isn’t it? Didn’t he humble himself and serve others so that we could serve? He loves us, and He has given us everything. His divine power has given us everything we need for a godly life through our knowledge of him who called us by his own glory and goodness. 2 Peter 1:3 So there is nothing else He can give us. Why has He so lovingly given us everything? So we could love because He first loved us. 1 John 4:19 Praise be to God! Forever and ever, AMEN! As I sit to type, I am grateful for this outlet. Whether others read this from start to finish, or it passes them by, it is still a gift…a gift to me. See I have this calling, gift, maybe a curse; I don’t know what you would call it, but I feel people’s pain. Sometimes it is revealed to me whose pain it is, either during or after I experience his/her emotions, and sometimes I am not given that opportunity. Regardless, it is like a tidal wave of emotional pain. In my gut, in the deepest parts of my body, soul, and spirit, I feel emotional distraught, anguish, lack of hope, emptiness, unworthiness, meaninglessness; a sense of defeat. It is as though I can somehow see, in an out of body experience kind of way, through people’s facade and see rather, the truth of this battle we all face. The struggles pop out in ways that I cannot explain in words. They become so overwhelming at times that I cannot do anything else but fall to my knees in humility as I cry out to my Abba Father for comfort, strength, and release. God has so graciously saved me from myself and the darkness of this world. In this, all I should want to do is tell others that there is hope, there is excitement and joy beyond what we see. When I see people truly struggling, I want to want to fix it. Right then, in whatever way possible. This sounds so passionate, beautiful, and ‘good’, but can I stop and tell you that this is something I want to want to do all the time and not just when I feel like it because there are times….when I wouldn’t be caught dead helping that person. I mean, they have been on that corner for weeks. Now, I realize that there is enabling also, so even though refusing to enable is ok, I still pass judgement, and that is not ok…EVER. Praying without judgement or loving without judgement might be the point of that person’s existence. To see them there…again, and to hear within,us pass judgement might be the point. To call to the surface and our attention to something in us that we must acknowledge is a struggle so we can stop unintentionally condemning those around us. God does not necessarily tell us to fix, or take away other’s pain, does He? Rather, doesn’t He tell us to love them through his/her pain? To speak truth with love and tell them that it is ok? To tell them that there is a hope beyond this pain? He tells us to not forget where we once were, and to tell our story with compassion, love, and grace. He tells us to forgive. He tells us not to judge the motives of man’s heart because only God can change a man’s heart. Oh how my brain knows this, but somehow, in the hustle and bustle of life, I can get so wrapped up with me…my actions, my desires, my accomplishments, my purpose, my house… that I cannot see past my own nose. Then, that which follows is the tendency to start looking around in comparison to others. Sometimes with envy and jealously, and sometimes with judgement. It is disgusting and I hate this part of human nature. It brings to light so deeply the verse of, we do what we don’t want to do, and what we want to do, we don’t. I mean, AMEN Paul. You nailed that one right on the head. It is my birthday today. I am 29 years old. I am a stay at home mommy to four beautiful, God fearing kids, ages seven, six, four, and three. I am married to a handsome, God fearing, hardworking husband, who I have been afforded to love, be loved by, and live life with for almost 12 years. I have a Master’s degree in Chemistry. I have a home that I have dreamed about for years, and ‘stuff’ all around me. Yet, I still battle, daily, with “what is the meaning of all this? Am I evening ‘doing’ anything? I want more! What else can I ‘do’ that brings fulfillment to ME?” Because it is all about ME…ME…ME. Blah, blah, blah. I pray, you hear the sorrow, and sarcasm, I am expressing to this awful pit of selfishness. I said goodbye to a high school classmate yesterday. Seven days ago I heard the news about what happened. I still don’t really know what happened, and quite frankly it is none of my business, but in the midst of hearing this news, I couldn’t help but question his salvation through judging him. I mean, the man is dead, and here I was, judging him. REALLY SAMANTHA! Later that evening, as I was worrying about the flowers I was hanging in my kitchen, it hit me. That HUGE wave of emotion I was telling you about at the beginning. It came over me all of a sudden and continued to grow and increase until the very early hours of the morning. I recognized what was happening as this is an experience I experience often, but this has definitely been the longest it has ever stayed with me. This one has been long winded, but most effective thus far. It has lit a spark inside of me that I can only pray God keeps lit. In seeing his life on the screen during the memorial, by reading his page on FB, by hearing the words of others and how he effected them…. has somehow effected me so deeply. I cant fully express in words, but I cannot help but recognize the short snip it in time God allowed him in my life, but the long term effect this will have on me forever. By feeling his pain this past week, it just reminded me… I am not God, and praise God I am not God because if I cannot handle even today, my own self, why in the WORLD do I want to take on others stuff, but yet, at the end of some days…I still do. To realize, that the purpose of his life, for me, was to allow this past week to really resonate in my spirit as it has renewed my mind, and to be my next tool to help combat this selfishness, as well as the fact that he will never know the effect it has had on me and so many others, until we get to heaven, is such a beautiful reminder of who God is, and an answer to my recent prayer. I have been praying for God to keep my heart tender towards Him; to help me accumulate another tool of knowledge to sever these thoughts of selfishness because I recognize the selfishness in me. I try to take captive my thoughts, but some days I win the battle, and others I don’t. When I pray, the outcome is not always what I think it will be. Rather, it is always WAY more effective than anything I could have EVER thought up myself, and this answer to prayer has DEFINIATELY been that. I am so in LOVE with my faith and in Jesus Christ of Nazareth because it is personal. It is a personal relationship that I am afforded through the blood Jesus shed for us. The reason I extend this to you is because every day other’s life can appear to be more appealing, or less appealing than ours. More meaningful, fulfilling, purpose driven, or not so much. However, regardless of how their circumstances may ‘appear’, I guarantee you that past the facade, they would tell you they struggle with the very same things you do. So as we strive so hard to do more, may we continuously be reminded to accept and love the place that God has us. If we can love where we are at, then we can love others where they are at. We can hand them more than just a sandwich. We can hand them a hope….a true GENUINE hope. A hope that says, there is something different about me. What is it? His name is Jesus. That is who is loving you through me because He is love. It is not me, my beautiful sister, or brother. I am simply the vessel, but He is the source of all you see. I don’t EVER want to forget where I came from because no matter how much more God gives me, I will always have to fight my selfish ways. My heart weighs heavy today as so many lives continuously are claimed by the darkness of this world. So much pain circles around us. The inner struggle remains real and continuous for all of us. For some, the pain is too great. The war within is far too much to bare and the only way is to silence the voices once and for all. Pain overcomes the battle and the joy within is suffocated by the trials and tribulations of this world. Hope is no longer tangible, but fear of tomorrow drowns us in today. My God, my God…please do not forsaken us. Please do not leave us! Wake us up to our worth, Father. Allow change in us, so others are uplifted by the hope we find in You to overcome the darkness. Love is the driving force, not judgement. Forgive us of our hypocrisy and lack of compassion. May we seek your love and leave out the fingers pointed towards others. May God have mercy on all of us as we learn to stop focusing on our achievements, and start remembering how much pain still floats in a world ruled by darkness. We are the city on a hill. We are the salt and light of the earth. We have to stop sneering at the homeless and hand them a sandwich. We need to stop judging the addicted, the prostitute, the poor, and start recognizing that their pain outweighs their joy. We need to hug them. Love them. Pray with them. Tell them they are WORTHY and LOVED and EQUAL and NEEDED. Tell them that the hope may currently be drowned by pain, but through lots of hard work, the joy will begin to produce air bubbles through the pain of recovery, and that air is awaiting at the top of this pool we call pain. Our assignment is to allow others to recognize their worth through the redemptive work and saving grace of our Savior. Let us not forget this! We must love our brothers and sisters. God loves every single person in this universe! EVERYONE. My cry is for everyone to know they are worthy and matter!!!! May the light of this world become brighter than the darkness. Awaken!!! Awaken!!!!!!! Thank you for choosing us and allowing us to have the privilege of being re-birthed into Your kingdom. Made new as we have been provided with the grace needed to clean our lives up. To allow sanctification as we choose to be set a part for Your purposes. Praise YOU, Lord, for the men in our lives. Allow us, Father, to cultivate in ours hearts the responsibility we have to build our men up. We desire sons, husbands, and fathers who fear You, Lord, but we must get out of the way for this to happen. Restore our hearts and change our view of our men. We are called to respect them. I pray every bond is severed, every strong hold is broken, in the name of Jesus, pertaining to the notion that men are anything less then the head of our households. They are the providers who we are called to respect and honor. Forgive us for dementioning their worth and role. Convict us, change us, strengthen us, Lord, to stand up for our men so they are able to be who You have intended them to be, and to fulfill the roles they were created to fill. Praise YOU, Lord, for our men and may they fear You only. We choose to lay ourselves down, so they may rise up. We hand over our need for control over them, Father. Forgive us! Thank you for our men! Thank YOU, for the love and respect they have towards us as their wives, friends, daughters, grand-daughters, mothers, family members, and/or coworkers. May we not take for granted the role you have allowed us to play in their lives. May we recognize our assignments and find joy in fulfilling them through the love, devotion, and desire we have for serving others for You and YOUR purposes. All for Your glory and YOUR honor. Forever and ever. In Jesus’ mighty name! Happy Father’s day my Abba Father, as well as every man who has an adopted, biological, and/or spiritual child; in addition to those who desire, or are patiently and prayerfully waiting, to one day be a Father. It is a huge assignment and may God fully prepare you, bless you, and continuously be with you through your role as a dad, granddad, husband, friend, family member, leader, and/or coworker. You matter!!!! Much gratitude for your lives. Forgive us, Lord, for allowing our own selfish desires to give birth to death. 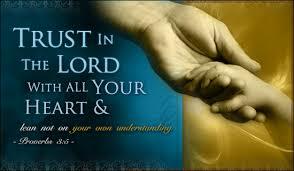 By seeking self first, rather then Your kingdom, O Lord, all things have not been added, but yet subtracted from us. We humbling come before You, on our knees and with hearts fully exposed, pleading for a change in the world around us. This change must first take root in our own individual hearts, Lord. In our own homes, businesses, and relationships. Change our hearts, Father. Make our paths straight as we lean not on our own understanding, but submit ourselves to You. (Proverbs 3:5-6). Lord, true worship is not a song with hands raised. True worship is a life of obedience. Believing in and following You, is obeying Your word. Praise You, Father! Bless You. For good does not dwell in flesh/self seeking men. No, good is found in a Holy, righteous, just, and living God who is not made in the image of man, but man in the image of Him. Oh hallelujah!!! You are Mighty!!! Our trust is forever in You! Build our foundation, of Your truth, on a rock so that this world does not shake us. Yes, Lord! Thank you, Father!